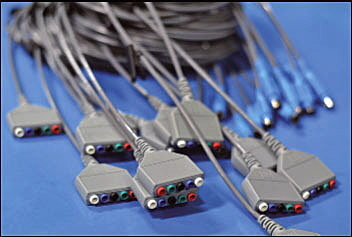 ISC Engineering specializes in custom molded cable assemblies and the technology that surrounds them. With quick turnaround times, they are geared for low volume, high mix assemblies in the audio, automotive, industrial, medical and military industries. What is unusual about ISC is that they are also heavily involved in transferring this technology to OEMs and other cable assembly suppliers. Custom Molded Mil-Spec Bulkhead Harness. 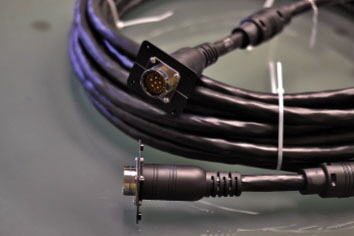 ISC will provide information on molding equipment, compounds, tooling and all other levels of expertise to get a cable assembly over molding capability up and running. 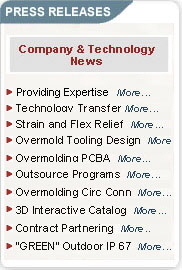 They bring a different level of service to the market where customers can have ISC design a custom molding solution. The companies can terminate the assemblies themselves, and then send to ISC for molding, until such time as it makes sense for them to either bring production in-house, or find a high volume supplier. ISC’s management team is unique with over 100 years of industry experience including extensive experience in wire harness assembly and custom overmolded cable assembly. Ryan Jenner, Chief Technology Officer, was an outsource customer of ISC’s and was very interested in overmolding technology and joined ISC to lead their technical efforts. 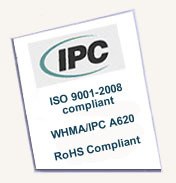 Recently ISC became IPC QML and continues to expand its technical reach with the addition of alternative methods such as thermoset overmolding and low pressure molding techniques.